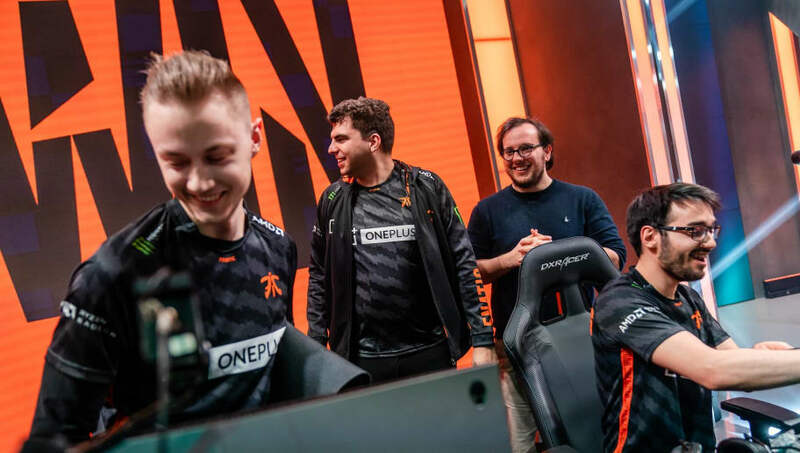 Fnatic defeated Splyce on Friday to advance to the quarterfinals of the League of Legends European Championship spring split. Fnatic took the first game in the series with relative ease, but Splyce's League of Legends squad fought back in Game 2 with a dominant performance. Splyce was unable to capitalize on the momentum swing, as Fnatic took the next two. The series closed at 3-1 for Fnatic. On Saturday, Origen and G2 Esports played to see which would advance directly to the finals, and who would have to play Fnatic in the semifinals. Despite their nearly comparable records in the regular season, the two teams were anything but evenly matched. G2 won the series with a convincing 3-0. The semifinal match between Fnatic and Origen will be played Saturday at 11 a.m. ET. The winner will face G2 on Sunday at 11 a.m. ET to determine the spring split champion.